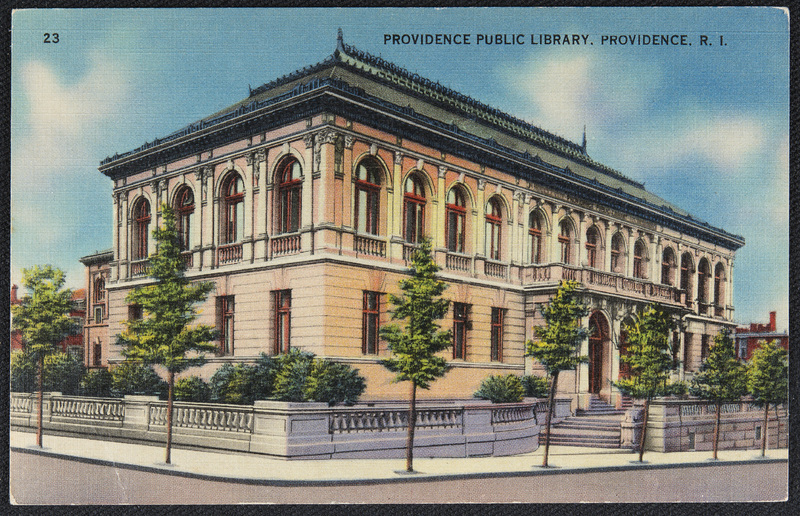 A fixture of the capital city, the Providence Public Library (PPL) has continuously served the downtown community for over a century. Founded in 1875, the PPL opened at its present Washington Street location in 1900. It added the Empire Street expansion in 1954. While its original Italian Renaissance-inspired design evokes comparisons to Boston’s Public Library, visitors congratulated the architects for valuing function over form. The first librarian, William Foster, stressed the Library’s important community service role by establishing community “contacts” to best serve the city. A revolutionary concept at the time, the result has been a tradition still in practice as the PPL continues to foster partnerships (or “contacts”) with a myriad of community groups on innovative initiatives. PPL’s services are as relevant as they were at the turn of the century, from traditional lending, research, literacy, and learning to training programs in the latest technologies. Today, PPL is focused on its role as a cornerstone cultural and educational center, highlighting its unique and historical Rhode Island and Special collections through a major annual exhibition and program series for all ages. The PPL remains dedicated to making the Library and its resources accessible to all. Busy Day at The Providence Public Library: The image reads, “YOU CAN ENJOY EXPANDED LIBRARY FACILITIES HERE. VOTE YES. 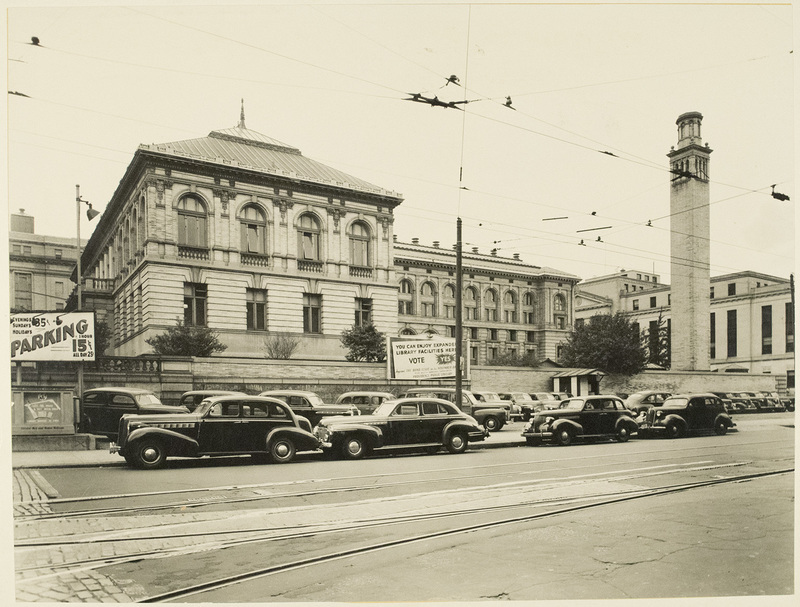 Approve THE BOND ISSUE on November [ballot] for much needed Providence Public Library expansion.” The majority of the public agreed with the need for expansion and the Empire Street wing was added in 1954. The PPL offers regular, free guided tours for those interested in learning more about the building’s history. Check out: www.provlib.org. Amelia Golcheski, “Providence Public Library,” Rhode Tour, accessed April 21, 2019, http://rhodetour.org/items/show/195.